Western European car registrations rose 5.4 percent in November, with the key French and German markets outpacing the rise as demand in the UK sagged, according to industry data compiled by LMC automotive. Registrations rose to 1.14 million cars from 1.08 million a year earlier, the consulting company said on Tuesday. Its numbers are based on a combination of published national data and estimates for some smaller markets that have yet to report. The seasonally adjusted annualized rate (SAAR) of Western European sales rose 3.8 percent from October levels to 14.57 million cars, according to the data. Sales in the region will rise 2.7 percent this year and another 0.8 percent in 2018, the company predicts - while the British market shrinks by 5.8 percent, then another 5.1 percent. "The UK market continues to struggle, with an eighth consecutive month of falls," LMC analyst David Oakley said. Registrations last month rose 10 percent in France, 9.4 percent in Germany, 12 percent in Spain and 6.8 percent in Italy, according to data published in recent days. But UK car sales plunged 11 percent, the SMMT industry group reported on Tuesday, amid uncertainties over Brexit worries and the future of diesel vehicles. 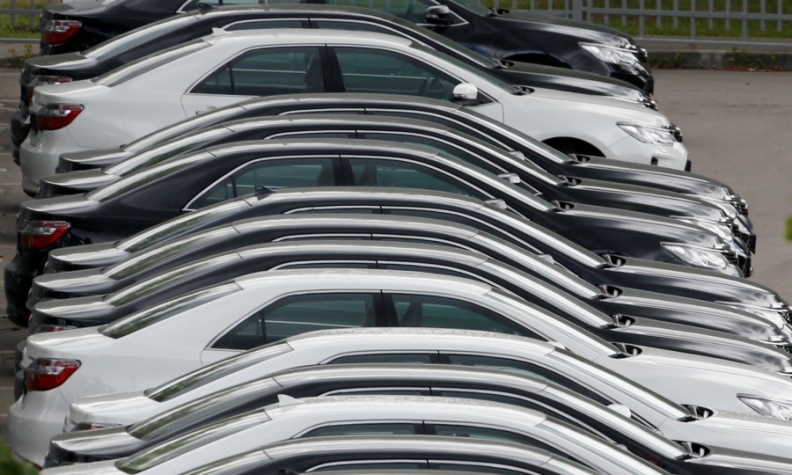 That puts the British auto market on course for its first full-year decline since 2011.